So this weekend I attended a birthday party of my sister’s bf. She’s a member of a lodge. Many of these people in this particular chapter are motorcycle bikers, or like that style, and they have their own bar, members and guests only. And their rules go. Smoking in bars has been outlawed here in NYC since the early 90s, I believe. I believe other cities, perhaps states have followed suit but I don’t feel like doing the research. So ok, this is a private bar, but a bar nonetheless. So I smoked at the bar. I normally don’t even smoke, once every six months or so for the hell of it, but oh I was going to smoke that night. So all the guy next to me was Marlboro Red. I smoked away, barely inhaled. Often I did not even inhale all together, like cigar. Either way… I’m glad that smoking is banned in bars, restaurants, etc. My eyes burned, the place had a faint but distinct smell. And even barely inhaling, my lungs hated me the next day. Previous The Customer is Always… Jaded? I hate that smokey smell your clothes get after being in a bar. It has been outlawed here in Wisconsin for about five years or so. The law had a helluva time passing due to the sheer number of bars in Wisconsin. Man these cheeseheads know how to drink! Well, for God’s sake, don’t go to the casinos in Biloxi, Mississippi. ALL (except for one, I think) allow you to smoke while gambling. Or, they might have a “non smoking” section. However, putting a smoking section in a bar, or restaurant, is like putting a peeing section in a swimming pool. 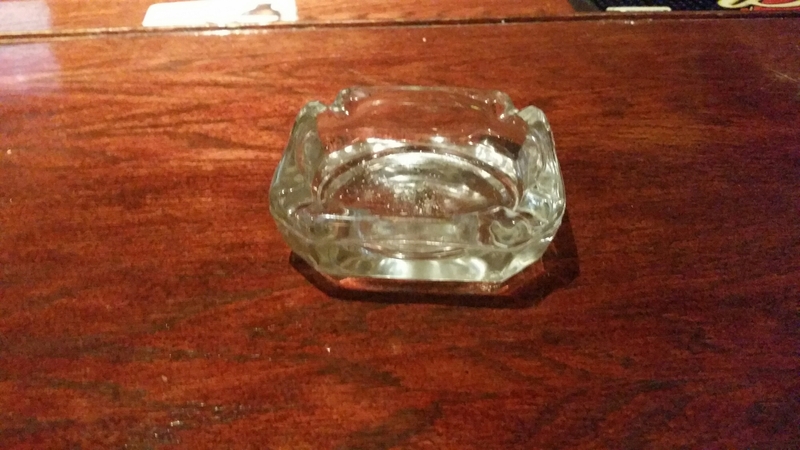 Smoking and ashtrays? It’s like a museum.